Do you self-identify (or have you previously self-identified) as an SEO? If so you likely won't be too surprised to hear that you're 'unpopular' in the content marketing world. In truth I'd suggest that unpopular doesn't come close to covering it. You might in fact be more accurately described as the red-headed stepchild of the content marketing world. 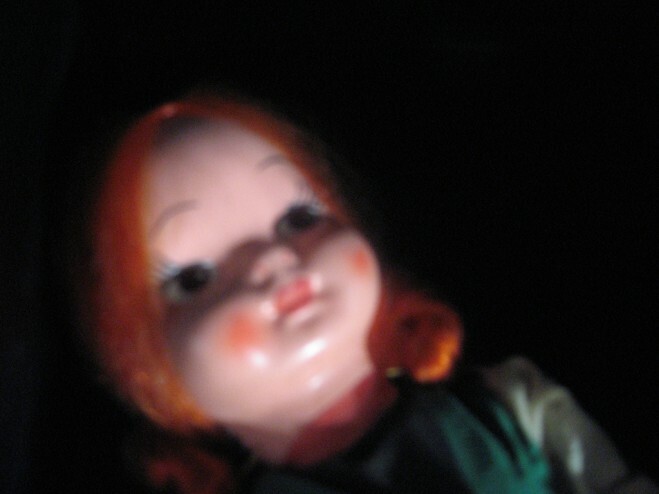 Red-headed stepchildren (in this instance we're in creepy doll form). No one likes us. As an SEO myself I'll admit to being frustrated by this. But, I can also see where those content marketing practitioners are coming from. Remember when keyword density was a ranking factor? Made for some pretty damned ugly reading. Of course that was long ago. Surely they can't still be holding that against us, right? 10 x 200 word 'SEO' Articles. The writer is paid $25. I'd like to think I'm a decent writer but I'm certain I couldn't do any topic justice in just 200 words. Write 200 word perfect English article on tap washer repair kit box. To be fair, this assumption is unabashed conjecture. 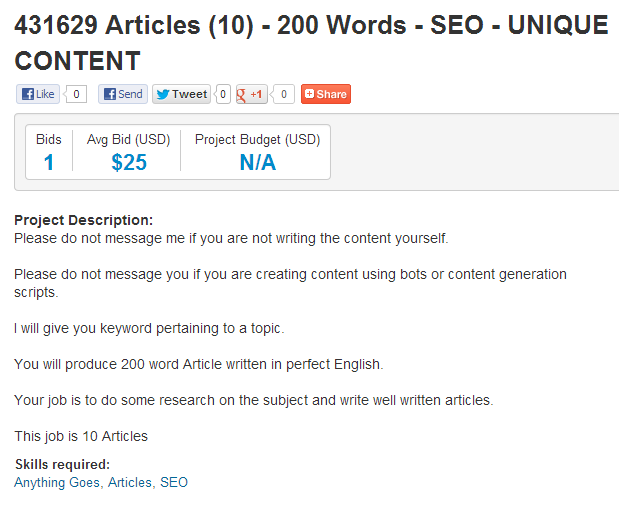 I have no idea what keywords these good folks wanted articles written on. But, let's just go with it for now. From a pure SEO perspective this isn't such a strange request. Some might quibble over word count, sure - but you need unique content to rank, right? Let's look at this from a content marketer's perspective. I imagine they might ask something like: Who wants to read an article on a tap washer repair kit box? Why are you creating something no one wants? They have a point. This sort of 'SEO content' is unlikely to add much value to humans. When you spin articles, sometimes Salt Lake City becomes Sodium Body of Water Town. I remember when I first started in SEO I was both fascinated and scared by the tactics that were advocated. I'd previously been working in offline marketing and I was baffled by many things, but article directories were a particular sticking point. What were they for? Who was going to read this? Shouldn't we be writing good content? I was told that no one read them. I was told that as long as the article was accepted the quality of the content was really neither here nor there. I built a lot of links like this. Yes it was crappy. But it worked. These sorts of links helped my clients rank and that was what they cared about. They knew what we were doing and why. Nevertheless I'd hit send on the reports detailing the links I'd built in this fashion and cower at my desk, hoping my clients wouldn't click through and read those articles. I, like many other SEOs always knew it didn't sit quite right. This sort of activity never made me feel good. However, it used to work. At the time my clients cared more about what was going on in terms of their own sites - their rankings, traffic, conversions etc. They didn't really care to go through the links I'd built. They didn't care that the content was horrible, it was just for 'SEO'. I feel that it's pertinent to note, that this sort of thing wasn't all that I did in terms of link building. I also feel it's worth noting that as an industry, most of us SEOs recognised we were on borrowed time with this sort of tactic and chose to diversify. I've spoken and written previously about our obsession with off-topic content for links. SEOs have historically spent huge chunks of time creating zombie infographics and the like in our quest for links. In the past I too have fallen prey to thinking about how I might be able to persuade my business insurance client to let me create something 'whacky', possibly about bacon. Why? Well we know what sort of stuff gets links, and historically we've been so link obsessed that we've perhaps not paused to consider whether or not such content really has a place on our client's sites. How will that infographic about bacon engender customer loyalty? How does that bacon infographic drive more profitable customer action? Do your customers really want that bacon infographic? How does it help them? I could go on, but I'm sure you get the picture. If not, I've written more on this here. Exhibits A to C of course don't comprehensively cover all that we've done to offend the content marketers out there. But I think they provide a reasonable snap shot. I can see from a content marketer's perspective this is adding insult to injury. Historically we've been guilty of creating content for search engines rather than people over and over and over again. Horrible on-page content. Why? It's for the search engines. Frighteningly poorly written (or worse, spun) articles. Why? Don't worry, no one reads them. They're not for people they're for links. Search engines see those links and reward us with better rankings. Off-Topic link bait. Sure that content is kinda cool if you like that sort of thing. 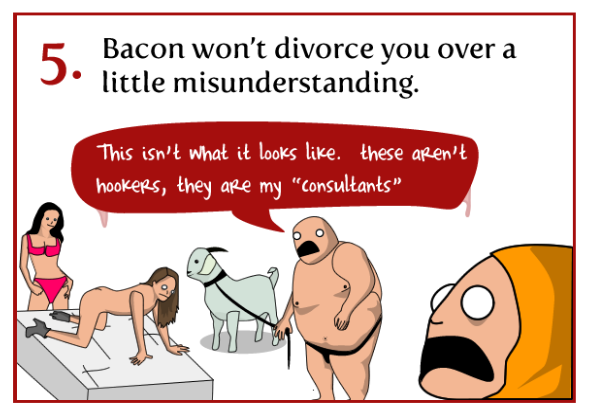 But why has a business insurance site done an infographic about bacon? Links! Remember we told you about links? Search engines see those links and we get to rank better. Is it any wonder that content marketers are exasperated with us? There's quite the body of evidence against us. Why should they believe that we've changed? I acknowledge that there have been many things that we've done as SEOs that are entirely at odds with content marketing principles. However I do think there's some good stuff that SEOs can bring to the content marketing party. If you accept that definition I think there's plenty of areas where SEOs can help - provided, of course, the content you're creating is going to live online. We've a pretty good understanding of what consumers are searching for thanks to search volume data. We're also able to look at search trends over time and so know which topics are 'hot'. We're also used to crunching data from other sources - such as social media too; after all, we realise that search engines aren't the only way people find things. This sort of data can be really useful when figuring out what 'relevant' content looks like. We're also pretty handy when it comes to understanding how competitive (or otherwise) a particular search landscape is. Does your client's site have the authority to compete in search? Are there related areas which are less competitive where they could succeed? This sort of data is useful to help shape a strategy with the best chance of success. Ok this is sort of cheating, but it's actually important. We understand how search engines crawl and index content. We're able to advise on how to ensure your content is visible to search engines and indeed how to get it to rank better (more on this later). In order to acquire new customers and increase business from existing customers you're going to need eyeballs right? We've been seeding content for a long time. We know that influencers opinions are important. We also know that whether or not they share something can make the difference between success and failure. We know how to find them. Plus, they might already be in our little black books already. Social shares are important, particularly from influencers, however the truth is it's likely that you're also going to need to get links to your content in order to maximise visibility and ultimately achieve your goals. If your content doesn't rank well then you're missing opportunities. Now I know as SEOs we've done 'bad' things in the name of getting links previously. But we're also capable of getting really good links. Links from sites that your target audience reads for example. And like I said, your content does need links. I really think that SEOs could learn a lot from content marketers, and I also think that SEOs have knowledge and skill sets to offer in return. What do you say? Can we call a truce and let bygones be bygones?